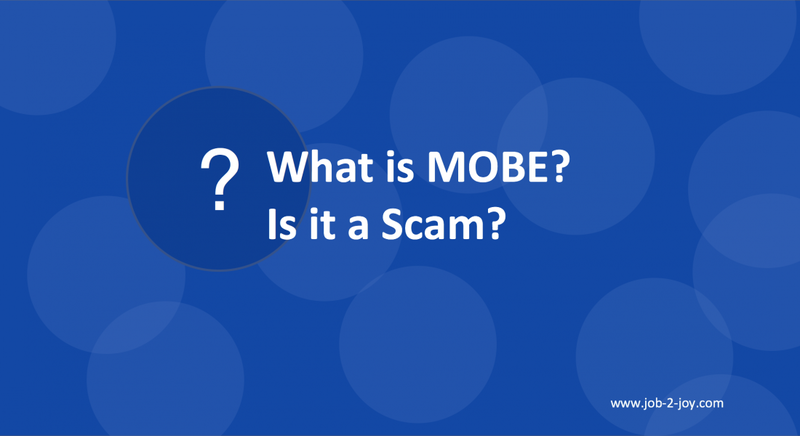 What is MOBE – My Own Business Education – Is it a Scam? Is MOBE a legitimate online business opportunity or is it just another scam? This article will help you draw your own conclusions by presenting the facts. To really get an understanding of MOBE you’d have to spend some money registering for the program, which involves a 21-step training program. But before you get to that point you’d need to do a little research and I am here to help with that. MOBE stands for My Own Business Education. It was formerly called My Online Business Empire and is also known as My Two-Tier Business or MTTB. I first got introduced to MOBE/MTTB purely by accident. I was doing a bit of research on some of the top online entrepreneurs. I wanted to follow their businesses and see what made them successful. One of the names that came up was John Chow. He is a multi-millionaire online entrepreneur who runs multiple online businesses using different business models. One of the models he uses is selling licensed products. And one of those licensed products was MOBE. In other words he did not own MOBE. The true owner of MOBE is Matt Lloyd. John Chow claims that he made $1.7 million in his first year promoting MOBE and he had a picture of the check to prove it. So that seems fair enough. MOBE offers training to small businesses and online entrepreneurs. They teach their customers how to set up, launch and run an online business through their 21-step training system. In addition to the basic training there are also workshops and live events. And for those who want a more one-on-one experience they also offer personal coaching to help online entrepreneurs start and grow their businesses. The training is broken into five different levels. The first level is the Silver MasterClass. The Silver level is the basic phase and shows you how to build a solid foundation for your online business. It also helps you determine if you have an entrepreneur mindset. This is the getting started phase. It entails an eight-module online training program covering 15 different topics. The cost of this level is $2,497*. The next level is the Gold MasterClass. At this level you can learn how to generate leads and build a solid basis for conversion. The Gold masterClass level is in the form of an online event that covers a number of training topics relating to growing traffic and creating sales. The cost of this level is $4,997*. 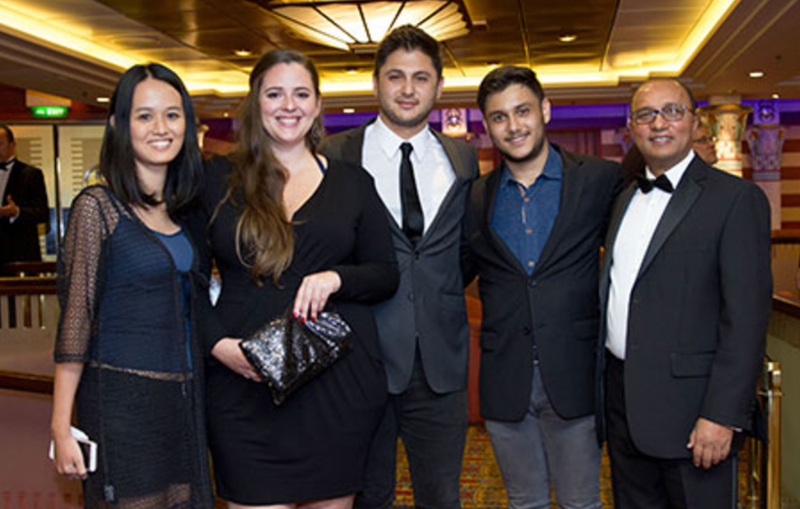 The third level, the Titanium Mastermind, claims to show their students how to scale their business into a million-dollar machine. This involves an 18-day training program. Three of those eighteen days involves a training retreat at a remote location. The last sessions were in Costa Rica. So you not only have to pay for the training but it appears that you may also have to cover hotel and airfare expenses as well. This training shows you how to build systems, leverage tools and talent, and how to implement advanced marketing techniques. This level costs $9,997*. The fourth level is known as the Platinum Mastermind. This level offers a 20-day intense wealth-building and asset-management training program. The training is usually set in some tropical paradise location like the Caribbean or the Pacific. This training claims to offer help to scale your business to 7-figures or more by investing and protecting your assets. This level costs $14,997* plus a monthly fee of $295*. The fifth and final level of the MOBE program is the Diamond Mastermind. In this level people are taught how to sell their businesses for the biggest possible value. It assumes that you’ve already built a solid business that is making 7-figure levels of income each year. It teaches you how to sell that business that would set you for life. This level is the most costly of all and is valued at $29,997*. But if you’re making a 7-figure annual income then that’s a pittance. The entire MOBE system is not for everyone. You should ideally move up to different levels as your business grows. So someone who just started in the online business world won’t go for the Platinum or Diamond levels, unless you want to learn the system so you can either promote it or teach it yourself. So, if anyone tries to sell you higher levels at a point in time when you are not ready then that should be a red flag. Can you Make Money from MOBE? John Chow is making money (and lots of it) from this program. He claims to have made $1.7 million in the first year. Many people tend to get blown away by such a high, income level and start imagining that they too, can do the same. While that may be true there are a few things you have to understand. Chow has been in the online business for quite some time (years) and has amassed a huge following (tens of thousands of leads). So all he has to do is milk his email list of thousands of followers and he is bound to get a few sales as these followers are warm or hot leads. People who are now starting an online business (under one year) do not have such a luxury and so, it becomes difficult to reach sales of $1.7 million in the first year or two. Another caveat is that John has a lot of money to pump into ads and what not, which newbies do not. Is MOBE a Legitimate Opportunity? 1. John Chow is a serious-minded individual and a successful online entrepreneur. If he is promoting and selling the product then we know that it is good quality. For all intents and purposes, MOBE appears to be a good quality product. 2. Unlike many other training courses and ebooks, MOBE offers some level of coaching, which is always great for newbies. 3. When you promote the product and get a lead, MOBE has a call centre of sales representatives that will call your leads for you to close the sale. 4. MOBE has great potential to earn passive income. 1. First of all, it is quite expensive. Most people who are now starting their online businesses do not have $2,500 lying around just like that to get started and then another $5,000 to continue. That’s virtually $7,500 plus the monthly subscription of nearly $20 in a matter of a few weeks/months. Most people choose starting an online business precisely for the low capital requirements it involves. And remember, this money is spent even before you earn a penny. Plus, when you consider that there are tons of other excellent training programs out there, such as the one I use for my business, which cost me less than $1 a day, then you have to consider whether the high prices of MOBE is really worth it. 2. The second drawback is the frequent upselling. A certain amount of upselling is alright. Heck, KFC and McDonalds do it everyday with their combos and special offers, such as super sizes. But there’s a line that needs to be crossed. When you’re doing a training you don’t want to waste your precious time watching videos and reading content that has a main purpose of selling you something disguised within the context of ‘training’. 3. The third downside is that while you do get to learn a lot of techniques and systems for starting and running an online business, most of the training is focused on selling MOBE products. I personally believe that training should not pigeon hole you into taking advantage of one opportunity. There are literally thousands of products out there that you can sell in just about any niche. 4. While it is not promoted as an MLM (multi-level marketing) scheme, MOBE has certain characteristics of a classic MLM. For example, the alternative name is My Two-Tier Business (MTTB). That name alone suggests that there are tiers or levels to this marketing system. 5. While MOBE has the potential to earn passive income, you only truly benefit when you move higher up the levels. You have to first buy-in to the program before you can sell it. 6. As I indicated earlier, there are 21 steps. However, the Silver and Gold cover only the first 6 steps. To move to steps 7-21 you need to get the Titanium and Platinum. And you cannot get a commission unless you buy into them yourself. That’s nearly $25,000. 7. A question that I had from the very beginning I discovered MOBE was how come they had so many names or name changes – first My Online Business Empire then My Own Business Education and My Two-Tier Business? Name changes could possibly be a red flag. If you’re setting up a business (online or offline) you have to spend some money in order to make money. There are certain key investments that you cannot avoid in building and running any kind of business; training is one of them. However, setting up an online business, especially if it’s a blog or you’re into affiliate marketing or even if you are developing your own e-product, then it should not cost you thousands of dollars to get started. Most affiliate products out there do not request a dime from you to be able to promote their products. So if you are asked to buy before you can sell, then that should be a negative sign. Be that as it may, if you want training and coaching then MOBE seems to be legitimate. However, as I said earlier there are other really great training programs that would cost you a LOT less. I can’t tell you what to do but it is entirely up to you. My #1 recommendation online training program won’t cost you an arm and a leg. So if you want you can check it out. Entirely up to you. Leave a comment below and let me know if you have had any experience with MOBE/MTTB or what you final conclusion is after reading this article. 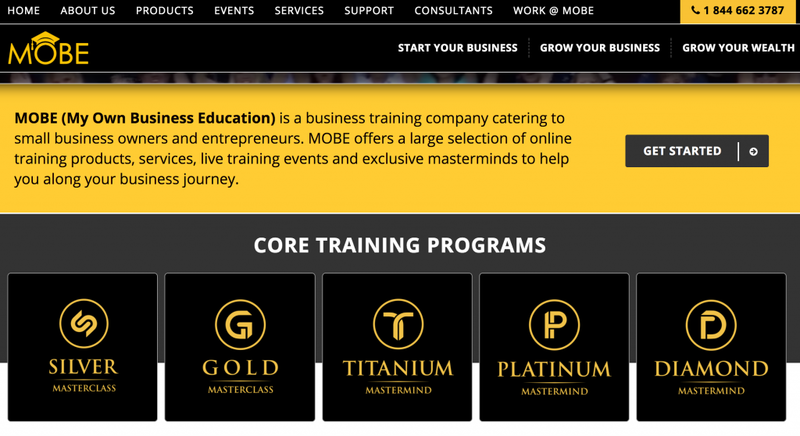 22 Comments to What is MOBE – My Own Business Education – Is it a Scam? It is nice to see they offer coaching and have real people at the helm. I would never sign up for this however. I don’t have that kind of money to dump into a program up front not knowing if it will work out for me or if it is something I really want to do. I use Wealthy Affiliate which only costs me a fraction of the price of this program. Once I paid the annual membership the cost went down to less than a dollar a day and this includes web hosting, training and everything I need. There are always people here to ask questions and new training added all the time. I started making money a few months after setting up my website. I wouldn’t go anywhere else. My favorite part of Wealthy Affiliate is the great community of friendly people. I have met people from all over the world. Thanks Jessica for your comment. 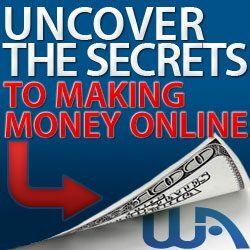 I too use Wealthy Affiliate. As I said, it is my #1 recommendation. And I totally agree with what you said about the training, community, tools, hosting, support and everything else. What Wealthy Affiliate offers is a solid system that has proven the test of time. It works. And we are both living proof that it is not a scam. I joined MOBE a few years ago and quickly came to the conclusion that it was a total waste of money. Getting a refund was virtually impossible and getting them to stop monthly billing involved cancelling my credit card as they wouldn’t stop charging me. Perhaps things have changed in the intervening years but I wouldn’t recommend MOBE to anyone. Thanks Marion for this frank and open comment. It is important for people out there to know what they are getting into. And interesting enough, you are not the first person who said virtually the same thing about MOBE. Getting refunds appear to be completely impossible. Thanks for the details about MOBE, very informative! Had no idea it would be that expensive! No wonder some make millions on it! Thanks again for the warning, Good stuff! No problem at all. I am glad to be of help. MOBE’s personal coaching is a nice touch, but I just don’t know that many beginners who can invest so much money. If you have a profit earning online business and you just want to take it up a notch, then perhaps MOBE might be a good fit for you. What a great review, really gives you all the information you need to make a clear decision if this course is right for you or not. I’m glad you liked it. MOBE is a good program to a certain extent but it’s up to you to decide if it is for you. I wouldn’t buy into the program because like someone else said, I don’t have thousands of dollars at my disposal. however I do respect your upfrontness and honesty in giving the price upfront. you didn’t lie in a demo video saying it was only $37 then we hear $47 then $97. only to be told after completing the training that we need to spend several grand to buy leads. a legitimate business often DOES require some money in the kitty. however a legitimate business doesn’t use the breadcrumb technique to entice people into it. a scam does. I doubt this is a scam. Thanks Lisa. I like you terminology – the breadcrumb technique. I’m going to use this some time in another article. I was about to join MOBE once when I discovered that it’s quite similar to an MLM. The commission structure forces you to purchase more expensive products in order to make more from the affiliate program. I think it’s quite similar to Aspire in this respect, don’t you think? Also, the fact that MOBE focuses the training on promoting the platform itself is something that puts me off. It’s extremely overpriced compared to Wealthy Affiliate. I am a member of WA for over 2 years and this platform really helped me achieve my first income goal (at least $500/mo). You’ve hit a couple important points Stefan. MOBE does have a hint of MLM characteristics. I really don’t like the fact that you have to buy up in order to get more commissions. It is similar to Aspire. Also the focus on MOBE as opposed to really helping their clients learn how to start, launch and grow any business is a downside. I am glad that you are finding success at Wealthy Affiliate. This is also my #1 recommended internet marketing or online business starter course on the web. Very informative review Kevin. I agree with you that in order to make money you need to spend money but MOBE seems to be excessive, at least for most people anyway. I know you used John Chow as an example of someone who has done well from the programme but I wonder what the overall success rate is of students buying into this. Thanks Lee for stopping by. That’s an interesting question Lee. I really do not know what is the success rate for those promoting MOBE. I’m sure that from the training side it might be positive. But I really can’t say about those who are promoting MOBE as a licensed product. I want to thank you for this review. It has shown me, according to your #1 recommendation, that I have in fact already chosen the best program out there. I’m glad to find yet another happy customer of Wealthy Affiliate. I was looking into MOBE but just wasn’t sure about the value in the cost. Everyone needs some capital for improving their business but I think MOBE is more for people who have a lot capitol and ready to scale their business not so much start. I agree with you Vince. I think you have stated it best. Perhaps MOBE is really for people who are already running successful online businesses and just want to take it up a notch. Bbut if you have th capital I guess beginners could give it a try. Man I only can pay around $600 for an online business and this is max. I heard good things about it but have not read a detailed review. Thanks for the cons man. I will definitely consider another option. Thanks for your comment Furkan. I am happy the information I provided can help you draw your own conclusion. As I said, MOBE is not a bad product, but it may not be for everyone. MOBE sounds like it could be a good program. But it sounds like it’s for people who have a lot of capital or have big businesses that make a lot of money already. Also if it’s all geared towards MOBE it sounds like your paying for someone else’s dream instead of yours. I don’t think I would pay the money for this program just my opinion. Thanks for your comment Joseph. Even though they say that anyone could become part of MOBE, I guess you’d need to have the capital to be able to get with them. Someone told me that they offer assistance or financing to help those who can’t afford. So maybe that could be a possibility for those with lower income levels. Review of Inbox BluePrint by Anik Singal – Legit or Scam?